By Drew Neisser . Published on August 29, 2018. From the moment a new chief marketing officer starts a job, the expectations for improved marketing performance are outrageously high. The CEO is looking for simultaneous upticks in brand metrics and demand generation. The head of sales wants leads that almost close themselves. The HR chief is expecting instant improvements in Glassdoor ratings and an influx of highly qualified recruits. And of course, the chief financial officer is hoping for increased yield on a smaller budget offering the advice, "only spend money on things that you can measure." To find out how a new CMO works around these unrealistic expectations, I interviewed Paige O'Neill, the CMO at Sitecore, a global software company known for its content management system offering. Having tackled the new CMO challenge for a range of tech companies, O'Neill believes her success springs from the ability to synthesize all of the information thrown her way into an action plan relatively quickly. Describing her role as "chief synthesizer," O'Neill advises other freshly minted CMOs to do their homework, find the anomalies and bring these to the attention of the CEO before enacting a plan. Without his or her support for a new direction, you're done before you've started. You've been the CMO at Sitecore for a few months now. Let's talk about day one and how you approached that challenge. A big part of getting off to a good start is making sure you've got alignment on priorities and understanding, who are the key stakeholders that you should be listening to drive those priorities. Does that map to what you heard during the interview process? Hopefully, there aren't too many surprises. Then it is about being in lockstep with your management and marketing teams and usually the sales team when it comes to marketing and the key areas of focus—and charging forward to drive that agenda relentlessly. How do you make sure that you are on the same page and find a way to translate the language of marketing into the language of the CEO? I certainly have had the experience where sometimes the CEO's priorities don't necessarily align with the priorities the rest of the organization thinks marketing's priorities should be. It can be a delicate balance to strike, but I tend to approach all these processes by coming in, having conversations with people that are in critical roles, listening to what they're telling me and then going back to the "chief synthesizer" role. What do you mean by chief synthesizer? It's about synthesizing all the input and then being able to go back and have a dialogue with the CEO. I'll share what I hear from the business, here's what the data is telling us, and here's what you're saying. These things don't necessarily reconcile, so let's talk about what that looks like from a prioritization standpoint and what we really think is essential for the business as we move forward with me in this role. Often, I find that once the CEO hears what's coming from the business he/she might be willing to have a different kind of a conversation. How do you make sure that the data that you're picking up is the closest to truth? It's human nature to start to skew the data towards either what you think it should be or what you want it to be, but I think that you must come in with an open mind. When I'm going about the process of having the conversations and finding data that might be different than what I thought it was going to be, I know that's where I need to spend the time drilling down. I've learned that over the years because honestly, earlier in my career I might have been more prone to go down a path where there probably was confirmation bias playing some role in the decisions I was making, but then I learned through trial and error that that wasn't necessarily the best thing for the business. What do you do when the input is so varied? When I start to hear differing inputs, I spend the time drilling down and understanding where that's coming from. Spend time not where you want to, but where it is most needed. It can be challenging to strike that balance because I want to spend my time building out stories and telling messages and doing branding. You've got to be very open and careful and willing to go to the extra level of detail around an area that you weren't necessarily expecting to hear. When do you start making decisions that could have a meaningful impact on the business? Very quickly—and I'm not someone that spends a lot of time overanalyzing. I pride myself on being able to come in and make a quick decision and stick to that. I think that's just part of my mindset as a CMO, especially given what you have correctly identified that there's always just a tremendous sense of urgency around things like demand gen and branding—those are the big two. I think you have to spend the time to have the conversations and prioritize going through that process. You start to be able to see very quickly where that data is leading you, so you can parallel some of the decisions that you want to make, even as you continue to go through the process and refine along the way. How did you approach building your team? This is probably my fifth or sixth CMO position. Every company is at a different point when you come in, and you've got to assess the strategic goals for the company. In the case of Sitecore, we're poised to break out. We feel like we're sitting in a wonderful place with our product. We're in a market that is critical and is growing, and we're known amongst our customers and our analysts, but we haven't been telling a remarkable story that we need to tell the C-level marketing audiences about topics that are relevant to our business, like digital transformation. What's holding us back from telling this story so far? There was a solid team in place around looking at classic product marketing areas, but there was a vacuum of content producers and people that were thinking about a modern notion of how marketing campaigns get developed and executed in today's digital global environment. Obviously, that sets the tone for how you're going to organize the team and be able to build out a campaign structure that supports the goals and the content creation of where we need to get you to be able to tell and execute these shorts. Let's break down the first 100 days. What should be on top of a new CMOs to-do list? First and foremost, building key relationships in the business to learn the business -- that seems like a no-brainer to say learn the business, but it's the first thing that goes by the wayside when everything starts coming at you once you're in the door. Dedicate time to steep yourself in the business, to make sure you understand it is so important and easy to forget. Then you must assess your team and prioritizing hiring. This is easy to put off to the side but if you don't prioritize getting your team in place, you're going to be behind as you start to firm up your priorities. What's next on the list? Figure out the quick wins. If you figure out a quick win that's going to be important to the business, it could buy you some time to get other priorities off the ground. Prioritization and alignment on priorities with the business, articulating a vision for marketing and how the function needs to evolve and making sure everyone's on board with that, and then finally, be merciless about how you spend your time. At a certain point, this happens to me every time I come to a job, you're meeting and greeting everyone who wants to come and talk to you. But then, once you've locked down what your priorities are going to be for the first hundred days, you've got to start saying "no" and focusing on those priorities otherwise you're just going to be overwhelmed. 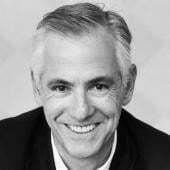 Drew Neisser is founder and CEO of Renegade, a New York-based marketing agency, as well as the author of "The CMO's Periodic Table: A Renegade's Guide to Marketing."